Monday night’s draw between Letterkenny Gaels and Naomh Colmcille completes the line up for the Northern Board Division 1 league quarter finals. By virtue of a better scoring difference, Naomh Colmcille top the Central Division and will host Glenfin on Wednesday night. Letterkenny Gaels will play town rivals St Eunan’s. From the Inishowen section, Burt and Urris will compete in Division 1, Carn and Moville in Division 2, with Malin and Milford in Division 3. Naomh Colmcille and Buncrana both played in the Central section in the first phase, with the Newtown side qualifying for Division 1, while Buncrana – who last year won the county minor championship – are in Division 3. Burt topped the Inishowen section following a good win away to Carn last Wednesday night and Urris’ victory over Carn on Friday night sees them join Burt in the top tier. 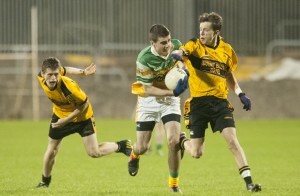 Burt and Urris will also contest the Inishowen Minor final later in the season. As group winners, Burt have home advantage when they host Mulroy Gaels (a combined Fanad/Downings side), while Urris’ game against Gaoth Dobhair will be played at a neutral venue given the travelling distance involved. Burt should have enough talent to win their game, but Urris have been handed a very tough task against Gaoth Dobhair who are many people’s favourites for the county title. Gaoth Dobhair have been ripping it up in the North West section and, along with St Eunan’s in the east, are the only side with a 100% record of five wins from five games. 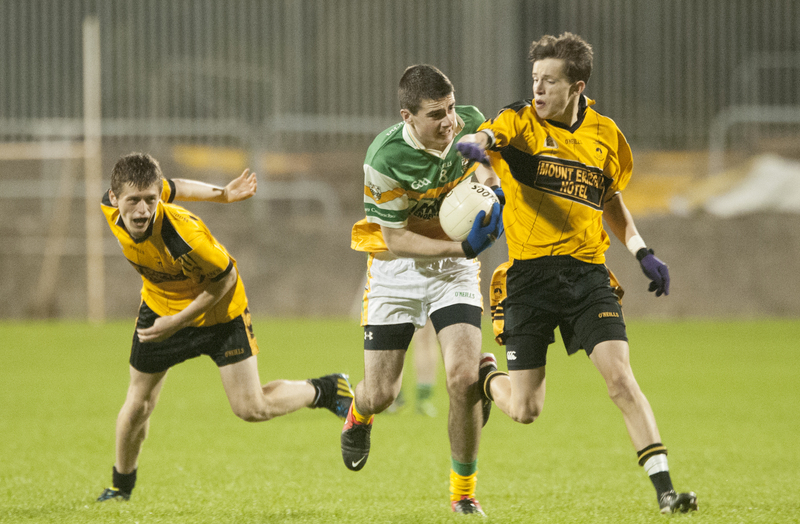 Backboned by several of Declan Bonner’s county minor squad Gaoth Dobhair – the Northern Board and county U16 champions from two seasons ago – are the clear favourites to repeat the feat. The seven other Division 1 sides may have something to say about that, but Tom Beag Gillespie’s men have been ruthless in the season to date and have their eye on regional and county honours. Division 2 has a more balanced look to it, with the pick of the ties being Carndonagh against Termon. The Inishowen side had performed strongly in Division 1 at U16 in 2012, but were beaten into third place in their group when they lost a local derby to neighbours Urris last Friday night. They can expect a similarly tough test from a Termon side who contested last year’s Northern Board Division 2 league final. With a couple of county minors amongst their number, Moville will look forward to the St Michael’s game with some confidence too. Elsewhere in Division 2 Glenswilly will host Mac Cumhaill’s, and Red Hugh’s will play St Eunan’s B. In Division 3, Convoy are already into the semi finals following the withdrawal of Lifford. Somewhat surprisingly Buncrana, who last September won the county minor championship, find themselves in the third tier. They should be a cut above the other teams in Division 3. The quarter finals are to be played this week, the semi finals are scheduled for Wednesday 16 April and the Northern Board final a week later with the Division 1 and 2 finalists qualifying for the county semi finals. Under the new competition structure, these gradings will also be used for the championship which starts in July. Each Division will be split into two groups of four with teams playing each other once. The top two teams from each group will advance to the Northern Board semi finals.